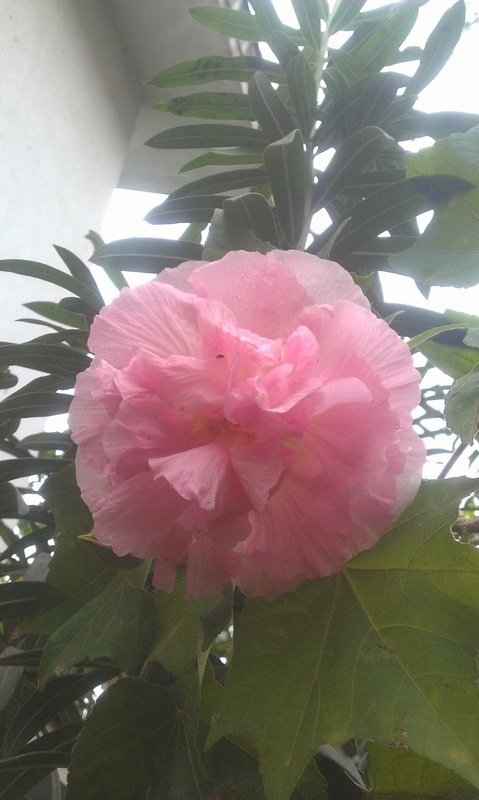 Taken almost a month ago at the Velachery home. Click the images to view them full sized. First, the unbeatable changing rose, taken in the morning at around 9:00 AM. The same rose at around 12 noon. It has changed completely pink in color. 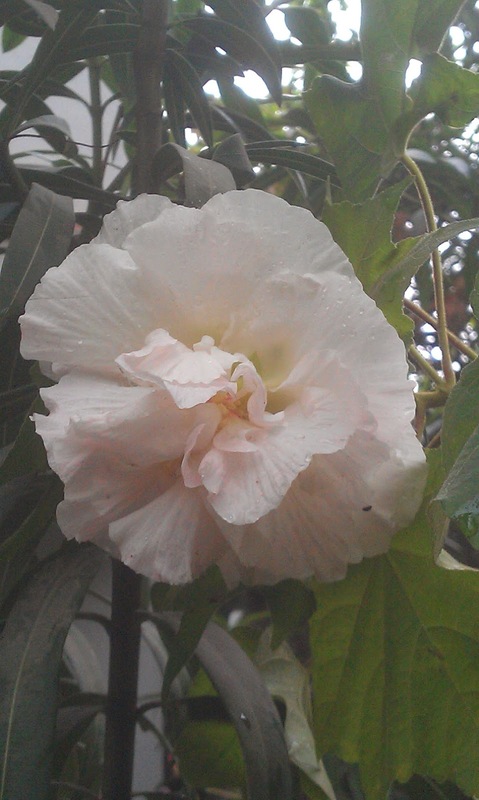 In the evening at around 4:00 PM it was a deep pink but the petals had shriveled. 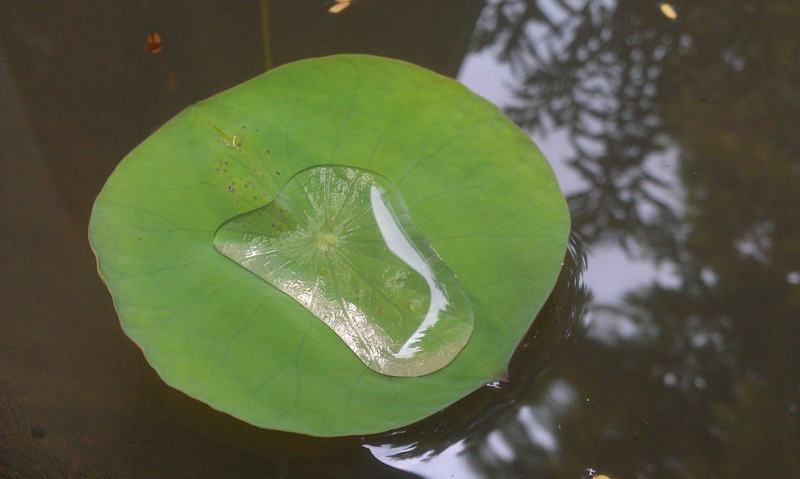 The lily leaf in the artificial pond. 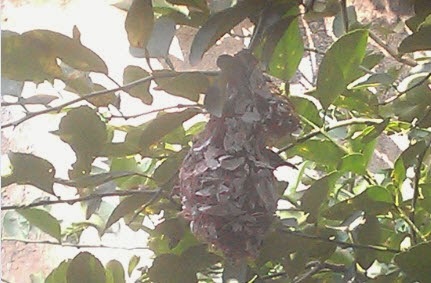 The Sunbird's nest in the lemon tree. You can actually see the bird's head with the curved beak protruding from the nest. It is probably sitting on its eggs.